South Africa’s governing party has serious credibility issues. It says one thing and does another. It appeases investors but can’t help chanting old communist slogans and insults. But on the ground, service protests are testimony to the fact that its natural constituency no longer believes it. How long can the ruling party keep it that way? Party treasurer general Mathews Phosa has been in London. Once again, he’s been reassuring the international community that the ANC’s policy on the nationalisation of mines is not about to change. Why? Not “Why is the ANC’s policy not about to change?” but “Why do people like Phosa keep having to bang on about it?” Hasn’t the ANC said this time and again over the past few years, before, during and after Julius Malema?” Well, quite. Generally, if you keep having to repeat your message, it’s because it’s not getting through. Alternatively, it may be because your audience simply doesn’t believe you. In the ANC’s case, the evidence suggests the latter. The story about Phosa came from Sapa. Had you flicked across to Reuters roughly an hour later, you would have found ANC secretary-general Gwede Mantashe warning Western investors that they had to realise South Africa didn’t need their money since we could turn increasingly to fellow BRICS members India and China to fund economic development. “There is a dynamic that Western investors must wake up to,” said Mantashe, accusing these investors of “… still sulking regularly”. Note that he was being interviewed by what is one of the most widely read and respected financial news agencies in the world, so his intended audience would have seen his message, whether they were sulking or not. At a basic PR level, this is inept. One senior party official in London attempting to unruffle feathers and calm investor fears, while another even more senior official is holding up a middle finger and telling them to get lost. It’s just another page, however, in what is becoming a very thick evidence dossier, giving clear proof that the ANC as a collective says one thing and then frequently does something quite different. How many times have we heard senior party officials or Cabinet ministers clasp hands firmly to heart and swear that they are deeply opposed to corruption? Yet charges are dropped, the accused walk away scot free and the next corrupt episode unfolds. How long did it take the ANC government to act against blatantly corrupt minister Sicelo Shiceka? Police General Richard Mdluli? To say nothing of the several hundred charges against Jacob Zuma himself, which were simply made to “go away”. Freedom of speech is another oft-repeated cry. The actions tell a different tale: consider the Protection of State Information Bill or the way the party handles the SABC. This week’s attempts to ban the Zuma Spear image also speak volumes, as does the party’s silence on the call for the artist responsible to be stoned to death. Full backing for the Constitution is a phrase summoned at will by defensive officials. The reality is that Cabinet is determined to implement a judicial review that would at best put the courts on a political leash and at worst emasculate them. The thinking inside Cabinet is made crystal clear by Pravin Gordhan’s affidavit in support of the approach to the Constitutional Court to hear the e-tolling case. This particular sentiment has echoed around the current National Union of Mineworkers’ national congress, too, with the union’s president, Senzeni Nokwana, warning delegates that there is “an anti-majoritarian tendency” and that courts are being used to stop government from using its power. “Judges feel they are a law unto themselves,” he said, adding ominously that “they must be transformed”. Clearly, Nokwana does not appreciate that the courts, and the Constitutional Court in particular, exist precisely to counterbalance any “majoritarian tendency”. He must be given the benefit of the doubt, of course, and perhaps does not realise that his heavy-handed use of “transformation” is scarily redolent of “re-education” during Mao’s Cultural Revolution. But let’s return to the dossier of evidence against the ANC, and the economic chapter of that dossier in particular. 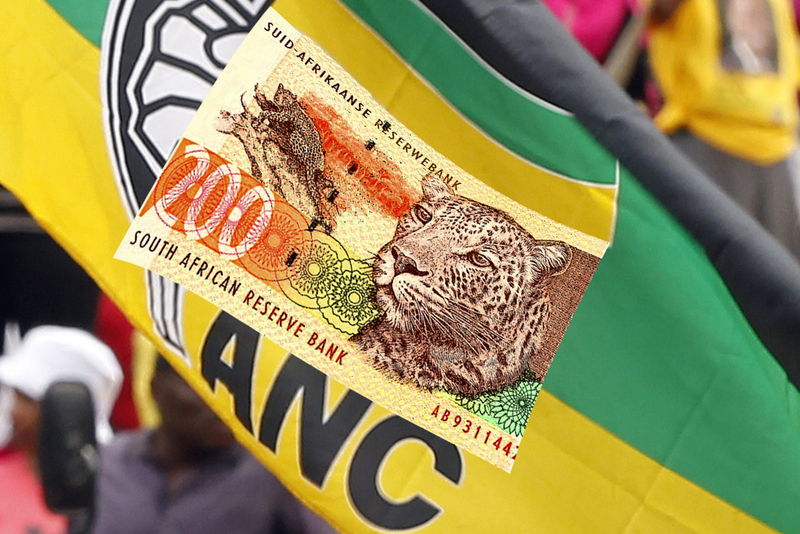 Foreign investors – or at least Westerners – did not need Mr Mantashe to tell them they were not welcome. That had already been done by the Department of Land Affairs’ “Foreign Land Ownership Report”, back in 2007, which made it very clear that anyone was welcome to buy land here. Apart from foreigners. A final piece of economic evidence related to government muddle also emerged this week. Caught napping in 2008, we have been assured by a succession of energy ministers that a long-term strategy is now in place for the production of electricity into the future. Massive power stations are being built at enormous expense and we are promised that, although things will be tight for the rest of this year and next, once these behemoths are up and running, all will be well. Costly, but well. It is also inconceivable that he would be unaware of this interpretation and it’s a warning of similar magnitude to the one issued recently by auditor-general Terrence Nombembe, who pointed to massive levels of dysfunction at the heart of this government. Dames is waiting for a decision and it seems he can’t get one. So much for all the assurances. At the broadest level, ongoing service delivery protests in townships and informal settlements right across the country are testament to the fact that even the ANC’s natural constituency no longer believes it. While there has certainly been progress in some areas, large swathes of the population are clearly despairing of the politicians’ promises.